Months ago I promised to introduce my heroes to you in my posts. I have to admit I’ve been sidetracked by blogs of box sets, winter wonderlands, love letters, and Salt & Pepper stories, to mention a few distractions. I’m horrified to discover that so far I’ve only introduced you to two of the other men in my life: Simon Hartley, the elephant whisperer of Orphaned Hearts, and daredevil wingsuiter Kyle Sheppard of Oslo Overtures. Because it’s spring in the northern hemisphere, I thought it appropriate to allow my latest hero of Spring’s Promise to skip to the front of the queue (so sorry Adam, Niklas, Davis, and Callum, but you’ll all need to wait on your turn a little longer). Ryann Doyle is a very different kind of hero to what I’ve ever written. He doesn’t drive a fancy car. Doesn’t have a high-powered career, or participate in any exciting sports. Too busy trying to put food on the table for his drunken father and troublesome little brother, Ryann also doesn’t have the time or the means to be involved in saving animals, or peoples’ souls like my heroes Simon and Adam. Still, I believe he’s a hero who will creep into your heart fast as he did with the mayor’s daughter. Without keeping you waiting longer, let me introduce you to a little Irish romance with Spring’s Promise. 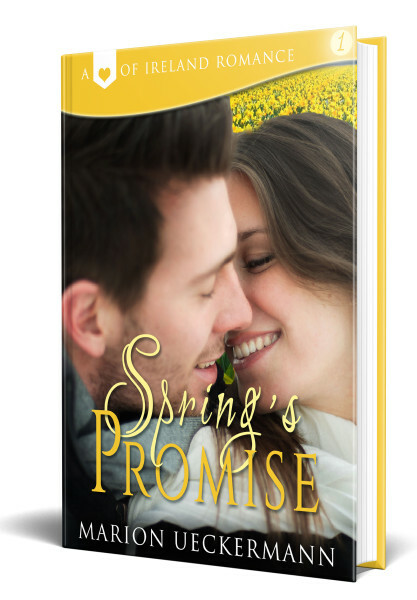 Leave a comment below if you’d like a chance to win an eCopy of Spring’s Promise. 1972. Every day in Belfast, Northern Ireland, holds risk, especially for the mayor’s daughter. But Dr. Olivia O’Hare has a heart for people and chooses to work on the wrong side of a city where colors constantly clash. The orange and green of the Republicans pitted against the red and blue of those loyal to Britain. While they might share the common hue of white, it brings no peace. Caught between the Republicans and Loyalists’ conflict, blue-collar worker Ryann Doyle has to wonder if there’s life before death. The answer seems to be a resounding, ‘No’. His mother is dead, his father’s a drunk, and his younger brother, Declan, is steeped in the Provisional IRA. Then he crosses paths with Olivia O’Hare. After working four days straight, mopping up PIRA’s latest act of terror, Olivia is exhausted. All she wants is to go home and rest. 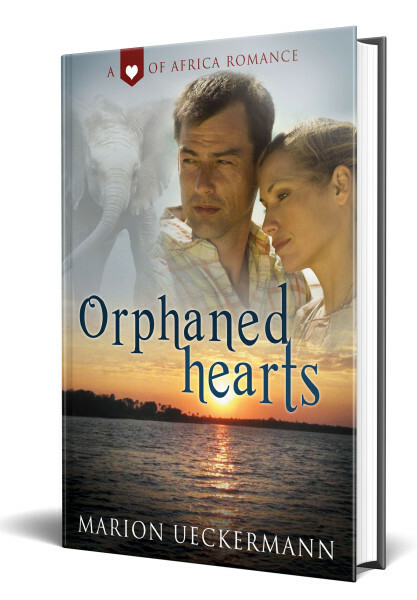 But when she drives away from Royal Victoria Hospital, rest is the last thing Olivia gets. When Declan kidnaps the Lord Mayor of Belfast’s daughter, Ryann has to find a way to rescue the dark-haired beauty, though it means he must turn his back on his own flesh and blood for someone he just met. Ryann gazed across the graveyard. Yellow daffodils sprouted from their grassy beds, heralding the changing season. On his way out of the cemetery, his earlier artwork demanded his attention. Is there life before death? There had to be. If not, what was all this for? He’d check Royal Victoria Hospital first. Declan could’ve been injured in the blast. His younger brother had whooshed in and out the house so fast Monday night, Ryann couldn’t have known if he’d been hurt or not. But if he had, Royal Vic is the place he would’ve gone. He should’ve checked the hospitals earlier but had pushed the idea aside. He didn’t want to consider the possibilities—Declan hurt, or worse, in police custody. That’s why he’d needed to talk to his mum. She always seemed to help him find direction and clarity, even after she was gone. It was hard not to notice the red Skoda with its hood up in the hospital parking lot. However, it wasn’t the vibrant color of the vehicle that held Ryann’s attention as he ventured closer. The leggy jean-clad woman peering inside the engine had him intrigued. As she snapped to attention, her head collided with the car’s hood. Ryann cringed at the dull thud. That had to hurt somewhat. But if it did, she didn’t show it. He watched her dark hair swirl as she turned around, and in that moment Ryann was certain of two things—this was a voice he could listen to for the rest of his life, and her face would mirror the loveliness of her voice. Swallowing the lump that had rendered him speechless, Ryann watched her brush the long, dark strands from her face with the back of her hand. A black smudge left its mark across her right cheek. He smiled. Should he tell her? “What’s the problem?” he asked, finding his voice. “My car won’t start.” Noticing the grease on her right hand, she dug in her jeans pocket, pulled out a tissue and began to clean it off. “You’ve a spot on your cheek, too.” Ryann pointed at the smudge. 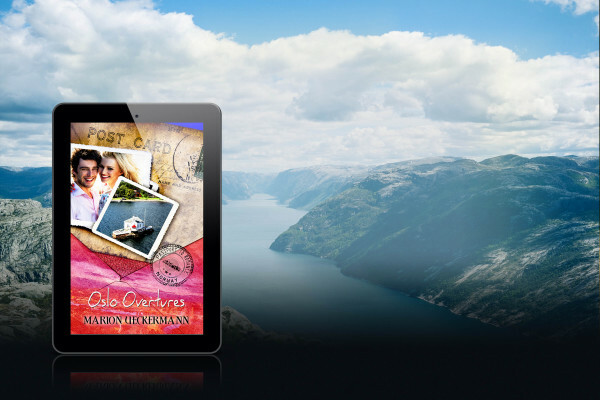 Mesmerized by the gray-blue eyes that waited for an answer, Ryann cared little whether her voice was tinged with orange and green, or red and blue. Color had entered the gray shrapnel of his world. “Is it gone?” she asked again. He stepped up to the car, and ducked under the hood. What was he thinking? Eejit. It wasn’t hard to see she belonged to another world. As their hands touched, Ryann felt something he hadn’t before, and he knew the answer to his early morning graffiti. Yes! A resounding yes. Thanks for giving us a peek at Ryann, Marion. I enjoyed the excerpt! So glad you enjoyed the sneak peek, Jill. Glad you enjoyed the sneak peek, Jill. Thanks for introducing us to your heroes. I instantly loved Simon, the elephant whisper and look forward to meeting Ryann and many more. Remember reading about the 1970s Irish conflict. Thanks for giving us hope that spring may arrive in the Northern Hemisphere. Spring may have arrived in Europe (Berlin 55 degrees Fahrenheit), but not in the Midwest (USA). The brutal north wind has been howling all night and we have had over an inch of snow. Since March was warm, we fear this cold snap will hurt our fruit farmers cherry, peach, and apple harvest. Just when I think I can’t love a hero more, Renate, along comes another one and sweeps me off my feet. But seriously, I have no favorites–I love each one equally as much. Ouch, wind and snow doesn’t sound much like spring…hope it arrives soon. Sounds like a great story. Thanks for the excerpt! Thanks, Lientjie, and you’re welcome. Hope you get to read Spring’s Promise. Love it! This is already hanging out on my Kindle, I may need to bump it higher on my reading pile. Thanks for introducing your here. I’m new to the blog, so I’m going to have to look for older posts and find out more about Kyle and Simon. I do have to say I’ve read the blurbs from the those books and Ryan so far is high on my list. There’s nothing like the everyday struggle to make it real. He’s a worthy, Hero, Priscila. Hope you can find the bogs about Kyle and Simon. Thanks for the excerpt. Sounds like this is going to be a good read. Thanks, Colleen. Hope you get to read Spring’s Promise … soon. Thanks, Tammy. Glad you enjoyed the excerpt. Hope you get to read the full story soon. Hope Spring’s Promise makes it’s way to your Kindle soon, Katy. Hearing about the turmoil in Northern Ireland in the 70s formed part of my fabric for the world as a teen. It’s still hard to imagine it as a safe place for residents and visitors alike! I haven’t read this one yet, Marion, but it sounds intriguing. Like it would put faces to some of my memories. When we moved to Ireland in 2000, Valerie, I must admit that I was rather nervous when we took a trip up to Northern Ireland, especially when we went to Belfast. There were still troubles in those days. But we loved it, and I was so surprised to find Belfast a beautiful city. Intriguing! Looking forward to reading it! Hope you get to read it soon, Julie. I can’t wait to read this book. It sounds very interesting, and Ryann sounds very sweet. Thanks, Sarah. Ryann is really a true hero. Hope you get to read his story soon. Your book sounds awesome I can’t wait to read it. It already has me hooked. That’s exciting, Linda. Means my blurb and excerpt have done their job well. Hope you get to read Ryann and Olivia’s story soon. It does sound intriguing! I love stories set in Ireland! Me, too, Lesesne, especially Irish movies. There’s just something amazing about that accent. Oooooh, this book sounds really good! Now you’ve got me hooked! That’s good to hear, Marilyn. Hope you get to read Spring’s Promise. Love the different time period. It was interesting and different to write in a time period, Merrilee where there were no cell phones or internet or emails. But I loved writing this story. Thank you, Margaret. Wishing all the best in the drawing. Thanks, Shelia. Spring’s Promise was an interesting one to write. Hope you get to read it. It sounds interesting. I enjoyed the excerpt . Thanks! Diana, you’re very welcome. Glad you enjoyed the short read. Thanks for the book excerpt Marion! My pleasure, Trixi. Hope you get to read what goes before and after. Thanks, Narelle. Wow, what a story your great-grandmother has to tell. I trust you’ll enjoy Spring’s Promise. Sounds like a great book. Thanks for the excerpt. You’re welcome, Michelle. All the best in the draw. I can’t wait to read this book – sounds exciting and romantic. Thanks for the excerpt. You’re welcome, and I hope you get to read it soon. I can’t wait to read the book! Sounds wonderful! I’m so glad that you are taking the challenge of 1970s Ireland. What a difficult time. Of course, I’m Irish-English American, so finding this is a joy. You’re an excellent writer, Marion. I fell in love with your writing when I read Poles Apart and am glad you’re pen is still busy. Linda, you’ve heartened my heart. And oh, yes, my pen is very busy, but I love it. Hope you get to read Spring’s Promise soon.